WHILE some of us wither with age, others only seem to be getting better and better. Take Lionel Richie. He left The Commodores, one of the best funk and soul groups of the ’70s and ’80s, more than 30 years ago. Being part of a group like The Commodores would be the high point for most artists – but his star has just kept on rising. He’s now approaching 100 million records sold, he’s a judge on American Idol and he has a massive UK tour coming up. Catch him at McDiarmid Park, Perth, on June 3. Life couldn’t be much better for Lionel – and he knows it! “If I’m not happy in this part of my life then shame on me!” Lionel told me when we chatted last week. “I was thinking of retiring as a Commodore. But then at the ripe old age of 200 someone calls and asks if I’d like to be the host of American Idol. “I was supposed to have been done with this a long time ago. But now I’m just enjoying the position. 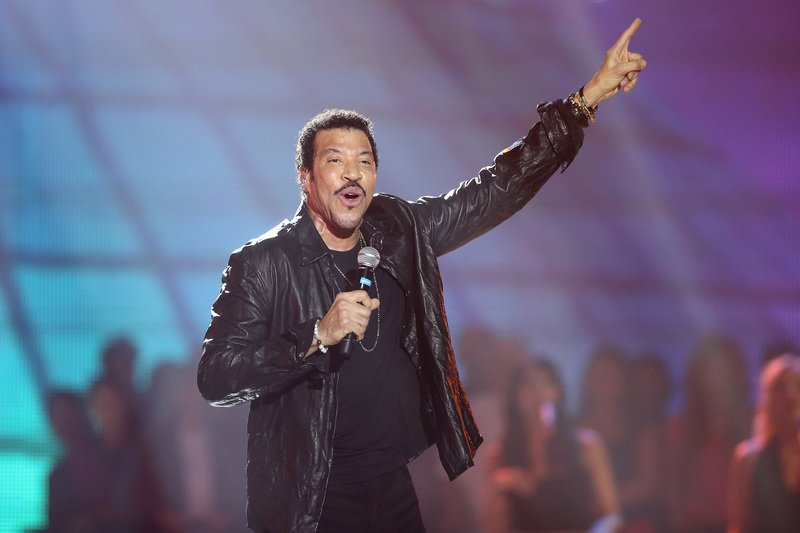 Lionel’s songs, from Hello to All Night Long to Say You Say Me to many, many more, are timeless, and I think a new, younger audience buying into his music has reminded Lionel of that. “When I did Glastonbury in 2015 it was like a new generation came along,” he said. “And now they come to the shows dressed like me in the ’70s. “And the tattoos! They’ve got tattoos of me – and tattoos are for life! Despite this new lease of life, Lionel almost chucked it in a couple of years ago. “Right after my father was ill and I went through, I won’t say a depression, but a massive low,” he said. “You know, my dad was my hero, so I went through that whole period in my life and then it was something about the birth of my kid. “Miles came along and Nicole was already there and I realised I had a group of people that were looking up to me to be the head of the house. “So I figured at that particular point, ‘let’s go back to prove to the kids what I do’.